EmBark Staffing is a technical staffing and services organization that emphasizes on understanding its customers to truly identify resources that fit both culturally but technically within their organizations. EmBark focuses on providing quality and strategic insight into talent management. EmBark targets temporary, contract to hire, and full-time placements. We take the time to understand where people want to go with their careers and we help knock down barriers to get them where they belong. We specialize within the Information Technology and Professional career fields. Chase Banta has over 9 years of industry experience working with small to enterprise level organizations. In January 2015 he opened up the doors to EmBark and since the inception of the company they have grown to be the leading IT recruitment and staffing firm in Southwest Missouri. 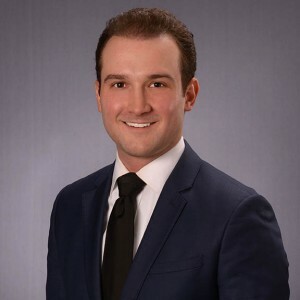 Chase has a passion for helping his clients achieve their goals so that they will be able to provide the best service possible to their customers. Our target customers are organizations which struggle to identify resources for openings in their company. We will sell our services to various skillets within the following industries: Information Technology, Professional Services, and Commercial. Information Technology Groups – With a growing importance for IT within organizations, companies continue to struggle with finding qualified talent in their local market places. Our high touch recruitment strategy allows us to reach much further than a traditional HR group within a company. We utilize various methods to assist with our recruitment strategies. Professional Services – Within the professional world it is important that our call center resources and administrative staff are aligned culturally and technically with each organization. We ensure to meet with each individual to make sure that they are going to be a true representative of our clients organization.